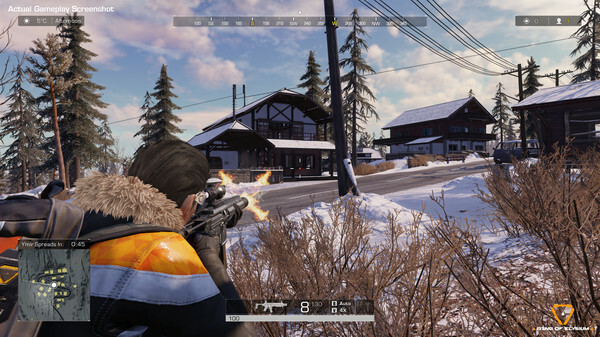 Ring of Elysium is a preferred survival Battle Royale game released by Tencent and published by Garena. 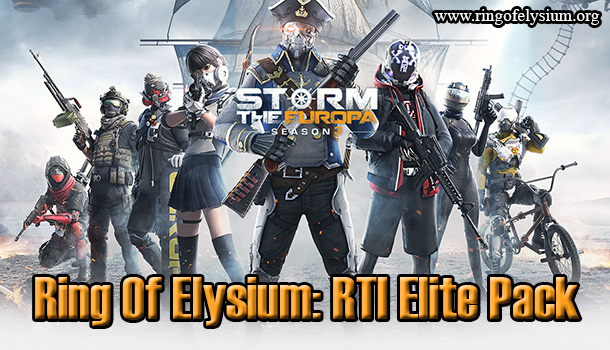 After undergoing many experiment stages in some countries, Ring of Elysium has finally debuted on Steam on September 19th, 2018, getting closer to the world instead of being accessible in only some countries like before. 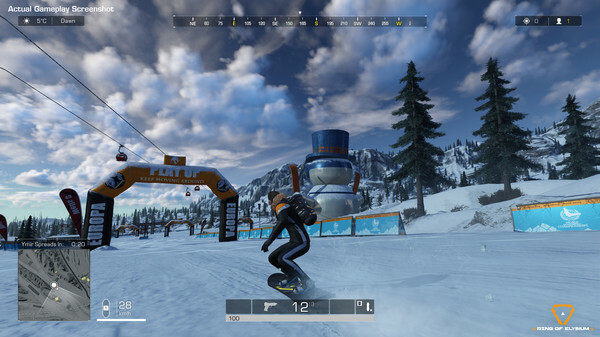 Ring of Elysium Steam version is kind of different from the previous versions that were tested and released in some Asian countries before. This version also brings awesome and unique features to the players, giving them a brand new gaming experience. 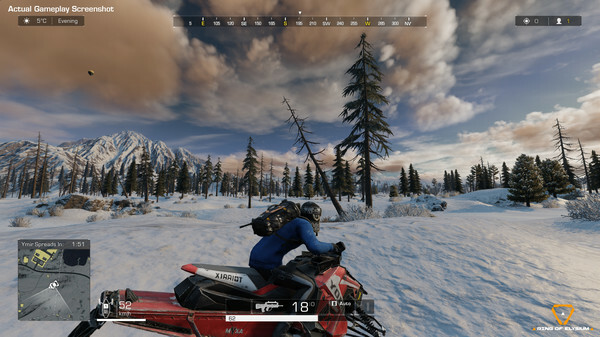 All players will be taken to a strange snow-covered mountain which is the main battleground of the game. They must fight against each other and survive for a chance of getting off this place. Let’s take a deeper look at some outstanding features brought to you by ROE Steam version! As mentioned above, all players will be dropped onto a snow mountain attacked by a catastrophic snowstorm. There is a rescue flight that will pass through this place, and this is the only way to escape! 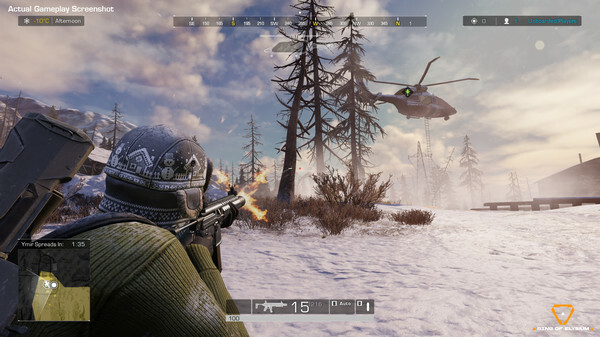 The flight can save up to four people, which means players must be aware of the incoming storm as they try to eliminate each other. Four players, who succeed in getting on the rescue flight, will win the battle! There are several predefined regions on the map. Due to the snowstorm, the regions will be periodically turned into frozen hell threatened by hypothermia. This takes an inspiration from the original Battle Royale movie settings, which powers an exclusive and memorable survival experience. 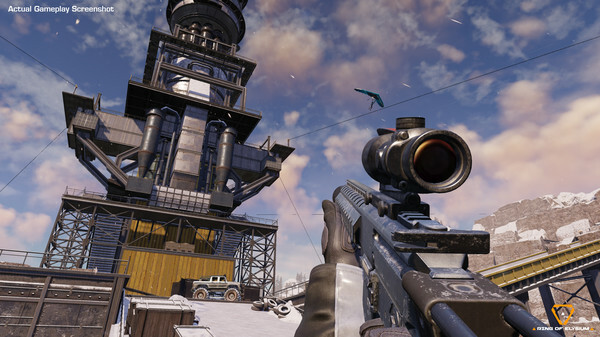 The main objective of ROE on Steam is to get on the rescue helicopter, opening new tactical possibilities in the battle royale category. With a snowstorm that is shown in a highly detailed way, players will have such an ultimate survival experience. The in-game world will alter in a dynamical way when the disaster advances. 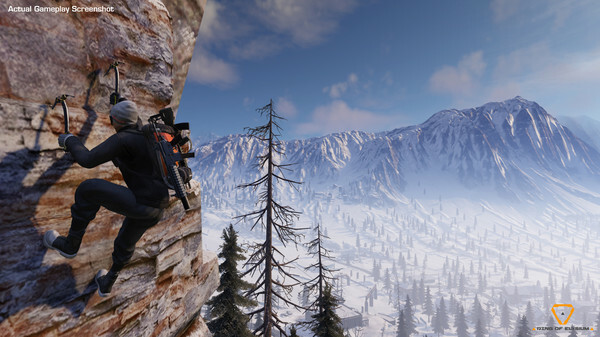 There are plenty of different abilities given to the players in the game, such as hang-gliding, snowboarding, mountaineering, etc. This is considered as a mixture of performing sports and battling skills at the same time. 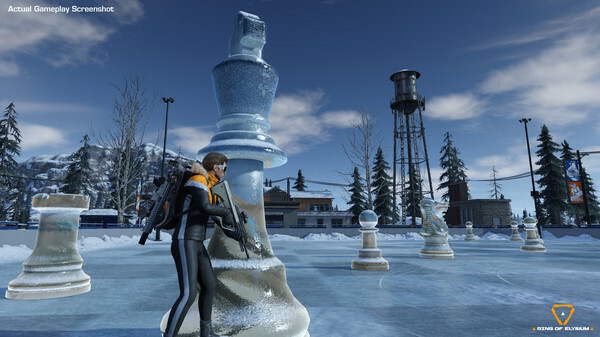 While getting through the disaster, players must utilize those abilities skillfully for their survival. Players will explore a perfect environment to compete against each other thanks to a delightful gunplay established on a great netcode. 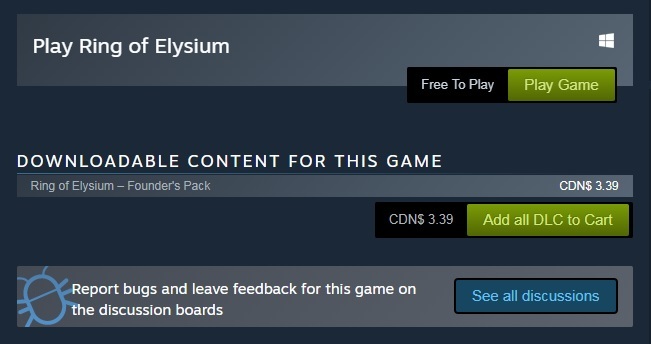 Note: Ring of Elysium is currently being limited in several countries. If you see a note like an image below, this means that your country is unable to join ROE at the moment (we are so sorry about this). You can try changing proxy to download and play the game (we’re not sure about this, but we will have a specific article on this issue after having a successful test).